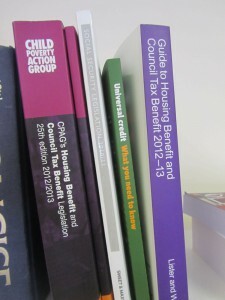 IPR provides an independent specialist Welfare Benefits and Debt advice service to Islington residents. Our service is completely free and confidential. Get in touch if you are having problems with your Welfare Benefits, or if debts are causing you real concerns. Our work enables many Islington residents to maximise their income and to deal with their debts, which has a positive impact on the local community. 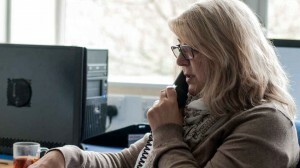 The Advice Line is open Mondays, Tuesdays and Fridays 2-4pm on 020 7561 3685. Appointments are booked through the Advice Line and take place at the Manor Gardens Centre in Holloway, or St Luke’s Community Centre in EC1. Most sessions are weekly, booked up to 2 weeks in advance. IPR also provides regular outreach services including at mental health, drug and alcohol and probation services in Islington. Appointments can be directly booked by service users, by contacting the venues direct. Most sessions are weekly, booked up to 2 weeks in advance. See outreach services for more details. We provide advice and advocacy on all aspects of Welfare Benefits and Tax Credits from making a claim to representation at tribunals. We can check that you are receiving the right amount of benefits and advise on the impact of welfare reform on your benefit entitlement. We provide specialist debt advice including negotiating with creditors, dealing with utility bills, benefit overpayments, and assisting with applications for Debt Relief Orders and Bankruptcy. Our aims, ever since IPR was founded back in 1969, include a commitment to reducing poverty and the effects of debt in Islington. These sessions provide employment, housing and consumer rights advice, as well as welfare benefits and debt advice. Appointment via centre. St Luke’s Community Centre, 90 Central Street, EC1V 8AJ – 020 7549 8181.